Looking for a great grilled appetizer? 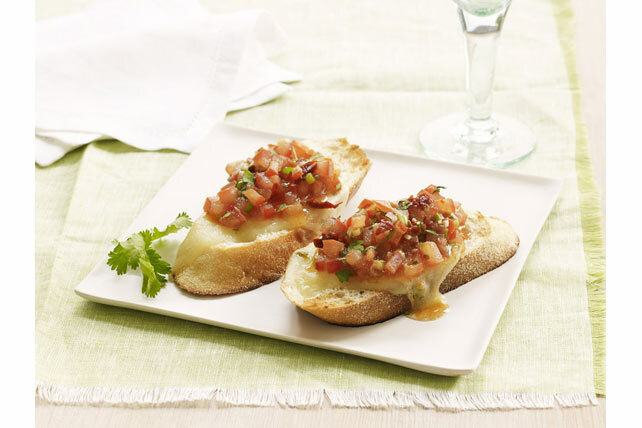 Look no further - our Grilled Salsa Melts are perfect for summer entertaining. Cover half of barbecue grate with sheet of heavy-duty foil. Grill bread slices on uncovered side 30 sec. to 1 min. or until bottoms are golden brown. Turn bread slices over and place on foil-covered grate. Top with cheese, then tomato mixture. Grill 3 to 4 min. or until cheese is melted and topping is heated through. Cut tomatoes in half crosswise. Gently squeeze out seeds over sink.